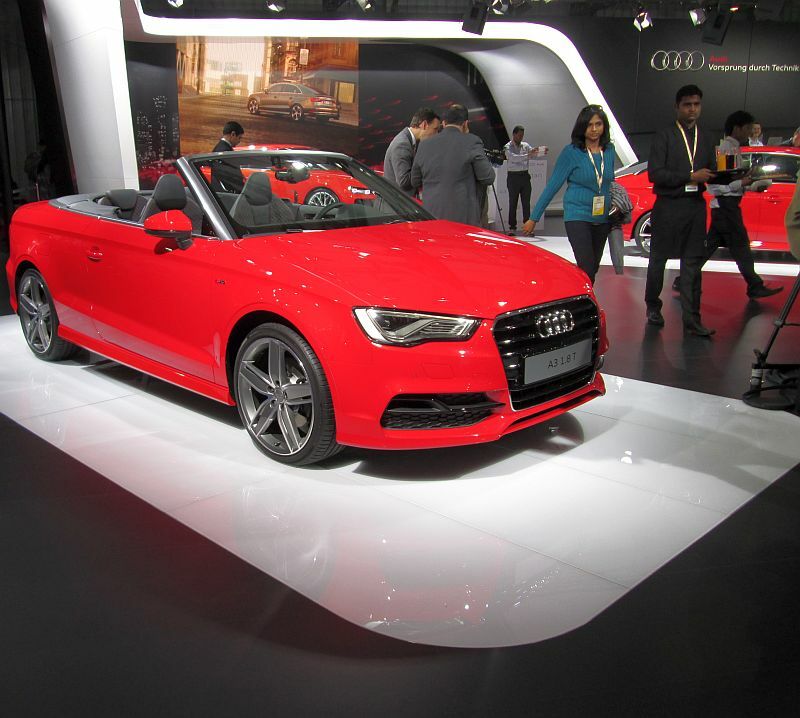 Snapshot: Audi India showed off two upcoming cars at the ongoing 2014 Indian Auto Expo in the form of the A3 sedan and cabriolet variants. Audi also added the 1.8 Quattro Sport concept of the A3 to the display shelf, perhaps as ploy to match Mercedes Benz’s CLA 45 AMG sedan. While the A3 sedan is aimed at family car buyers seeking to buy into the Audi brand, the A3 cabriolet is aimed at younger car buyers who want a more styling ride without having to break the bank. Talking of the bank, both cars are expected to be Audi’s least priced entry-level luxury cars, sitting below the likes of the Q3 crossover and A4 sedan. 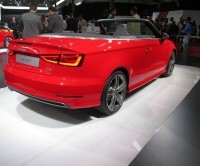 The Audi A3 sedan and cabriolet are based on the Volkswagen group’s MQB platform. Both cars share their engines and gearboxes with other MQB based cars such as the Volkswagen Golf and the Skoda Octavia. The A3 sedan is likely to be sold with turbo petrol (1.8 liter TSI 175 Bhp-250 Nm) and turbo diesel (2 liter TDI 150 Bhp-320 Nm) engine options in India. The 7 speed DSG dual clutch gearbox will be standard on both variants of the car. 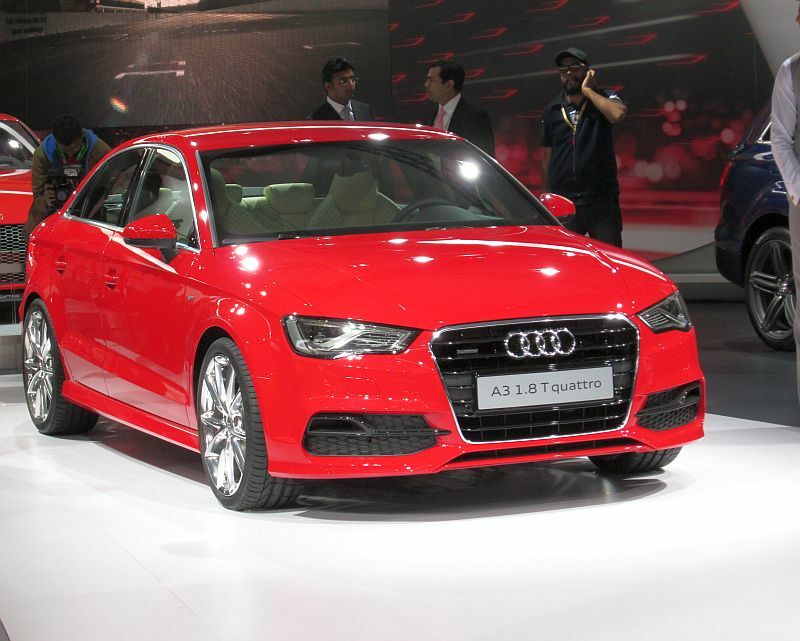 Although the MQB platform is capable of supporting an all wheel drive configuration, the India-spec versions of the A3 sedan and cabriolet will be front wheel driven. 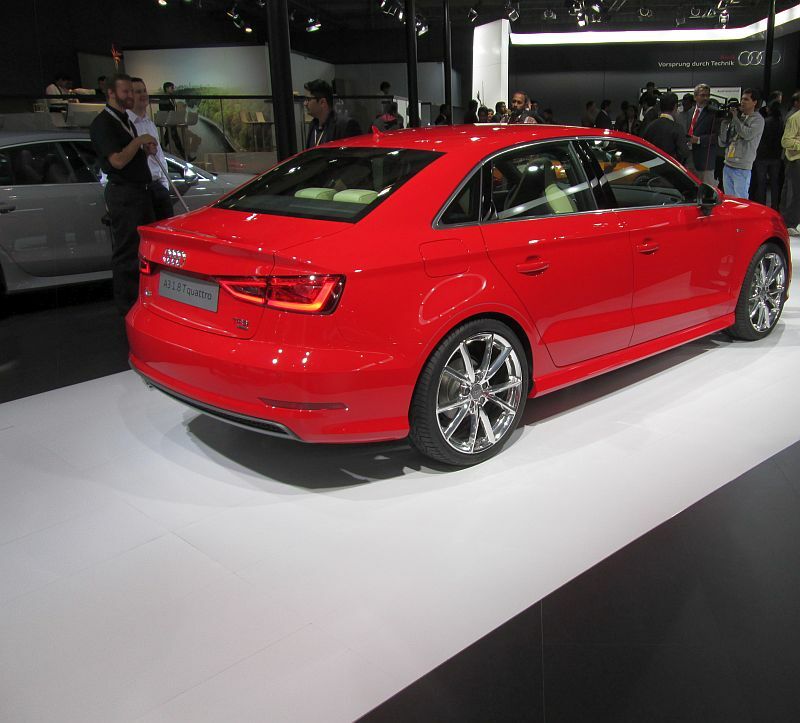 Competition for the Audi A3 sedan will come from the upcoming Mercedes Benz CLA sedan. 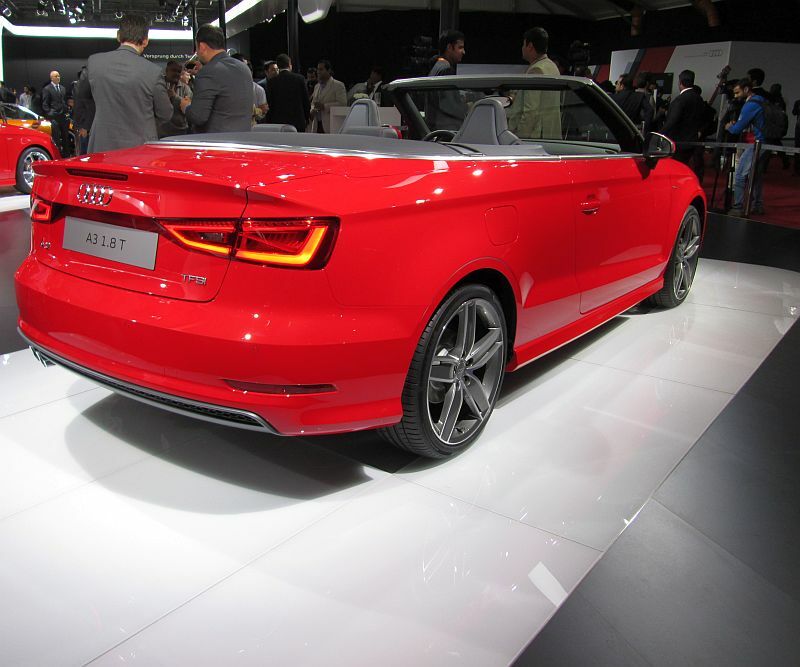 However, the Audi A3 cabriolet will not have a direct challenger given the fact that no other luxury car maker operating in India offers a convertible variant in the entry-level luxury car space.